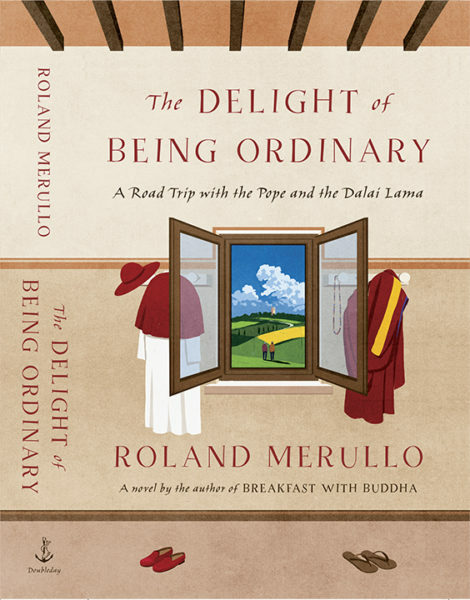 Roland Merullo’s playful, eloquent, and life-affirming novel finds the Pope and the Dalai Lama teaming up for an unsanctioned road trip through the Italian countryside to rediscover the everyday joys of life that can seem, even for the two holiest men in the world, unattainable. What happens when the Pope and the Dalai Lama decide they need an undercover vacation? During a highly publicized official visit at the Vatican, the Pope suggests an adventure so unexpected and appealing that neither man can resist. Before dawn, two of the most beloved and famous people on the planet don disguises, slip into a waiting car, and experience the countryside as regular people. Along for the ride are the Pope’s overwhelmed cousin Paolo and his estranged wife Rosa, an eccentric hairdresser with a lust for life who cannot resist the call to adventure—or the fun. Against a landscape of good humor, exploration and spiritual delight, not to mention the sublime rolling hills of Italy, The Delight of Being Ordinary showcases the charming sensibilities of Roland Merullo (whose bestselling Breakfast with Buddha has sold over 200,000 copies), in a novel that makes us laugh as well as think about the demands of ordinary life, spiritual life, and the identities by which we all define ourselves. Roland Merullo is the acclaimed author of fifteen previous books, including Revere Beach Boulevard, Golfing with God, and Breakfast with Buddha. 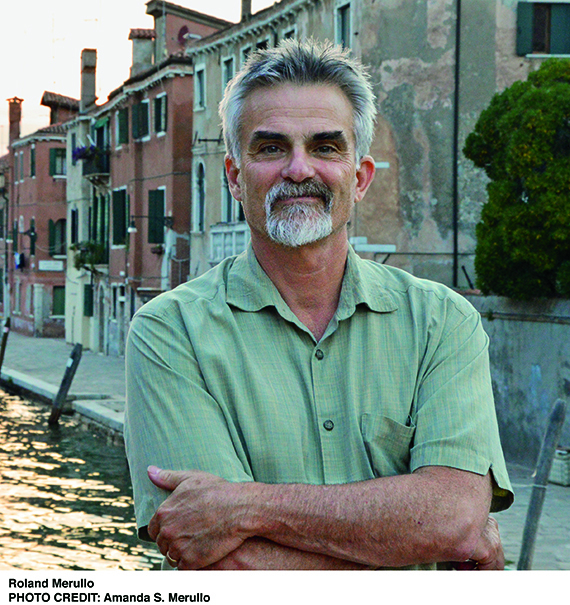 Merullo’s work has been translated into German, Spanish, Korean, and Croatian, and he has won numerous prizes, including the Massachusetts Book Awards in both fiction and nonfiction. He lives in Massachusetts with his wife and two children. 1. Each character has very distinct views on religion. Did they change by the end of the novel? 2. Did any of your perspectives on religion change while reading? 3. Where was the common ground in their discussions? Where did they disagree? 4. Which location during their travels would you most want to visit? 5. How was family love emphasized or portrayed in the novel? 6. How did Paolo and Rosa’s relationship change from the beginning to the end? 7. How did the Pope and Dalai Lama’s dreams affect the course of the novel? 8. Do you believe everyone needs to take a step back from their routines of everyday life? Why? 9. In the end, do you think the trip was worth the risk for the Pope and Dalai Lama? For Paolo and Rosa? 10. What is the key message you’ll take away with you from this novel? 11. How important is Cynthia’s appearance and the conversation with her near the end of the novel? 12. Did you recognize her from Vatican Waltz, and did you recognize the characters from Merullo’s bestselling novel Breakfast with Buddha? My odd story begins, oddly enough, with a Buddhist. Or, at least, with the visit of a famous Buddhist to the most sacred halls of Roman Catholicism. It’s common, of course, for a pope to receive visiting heads of state—­presidents, prime ministers, first secretaries. Catholics have a great deal of clout in the world’s voting booths, and politicians, even the least religious politicians, like to make a papal pilgrimage. They sit for a photo op with the Pontiff, pretend to exchange ideas, make promises they never intend to keep, then fly back to their luxurious lives and seats of power. Popes, in my experience, handle these visits with an admirable patience. Disappointed again and again, they nevertheless always seem to hope that the leaders of the world will actually behave in ways that reduce the chance of war and give comfort to their poor. In the case of the Dalai Lama’s visit, however, the Holy Father had good reason for optimism. Here was a man whose responsibilities were similar to his own, and whose devotion to his faith and his people was beyond question. It was the second year of our joint tenure—­the Pope’s and mine—­and probably the three hundredth official visit. I was used to the frenzied preparations: security precautions, press conferences, interviews. But when I went to see the Pope that morning I could sense, almost immediately, that the Dalai Lama’s visit would not be typical. My cousin liked to rise at four, spend three hours in prayer, and then take a light morning meal. On Tuesdays, Thursdays, and Saturdays when he was in Rome, ­Giorgio—­as my parents and I had always called him—­asked that I have breakfast with him in his relatively humble accommodations: a three-­room suite at the Domus Sanctae Marthae hotel in Vatican City. Seven a.m. sharp. This wasn’t easy for me. At seven in the morning I’m not yet at my best—­not that my best is very good at any hour—­but out of devotion to the famous man and in deference to his inhumanly busy schedule, I always showed up on time. In order to reach the papal chambers, even with my top-­secret Vatican credentials, I had to run a gauntlet of security officials and various secretaries. After doing so on that morning I went, at last, along a familiar, carpeted corridor and tapped on a set of wooden doors twice my height. “Entra, cugino!” the Pope always yelled joyfully. Come in, cousin! That day it was no different. The velour curtains hanging from the windows of his dining area had been pulled aside and, even at that early hour, a golden sunlight poured through the glass. The Pope was dressed casually in dark pants and a white T-­shirt, a medal of the Blessed Mother looped on a thin chain around his neck. As was his custom and preference, he was barefoot (he liked to say it linked him, however subtly, with the poor of this world). The sunlight fell on one side of his face, catching a smile so sincere and sparkling it would have caused the most devoted atheist to convert. He gave me the warmest of embraces. Another minute and we were sitting opposite each other at a small, marble-­topped table. An aide brought a typical breakfast—­pear slices, pots of herbal tea, two pieces of Dutch chocolate the size of bottle caps. (The Pope is famous for his sweet tooth.) We prayed over the food and began to eat, but, knowing him so well, I could see a rising tide of trouble, a splash of anxiety on the skin of his face. “Sì, e poi?” Yes, and then? “Something’s bothering you, Pope,” I said. The Pope is from Argentina—­everyone knows that—­and his first language is Spanish, of course. But his parents—­like my mother—­were Italian-­born, and so, in honor of our shared heritage and in deference to the traditions of the Church, we usually spoke Italian with each other. This had the added advantage of not arousing suspicion among my numerous enemies in the Vatican bureaucracy. With most of the Pope’s visitors, English was the preferred tongue. I’m fluent, thanks to my parents, but the Holy Father sometimes struggles, and he hesitated so long then, spent so much time placing another pear slice between his lips, chewing, swallowing, that I worried he couldn’t find the words in either of those two languages and would revert to Spanish, a tongue I habitually mangle and wreck. Another pause, and then, in an embarrassed way, he said, “I’ve been having very odd dreams, cousin. Ho avuto stranissimi sogni, cugino. I sense that God might be sending me messages, in a kind of code.” He paused again. His embarrassment—­so rare—­embarrassed me. I wanted to ask about the dreams, but I held my tongue. He looked away, looked back. He said, “Potresti creare un piano d’azione, cugino?” Could you put together a plan, cousin? I went along with our little game. “I’ll have it on your desk by lunch, Holy Father,” I said. And even after hearing those words, even after registering the stern expression on his face, I was sure my cousin the Pope must be joking.